It’s been such a busy year already, I haven’t had time to take us all on a look back at the year that was for Lao Minnesotan artists and our friends and family in 2012. But better late than never! Of course, the big event of the year was Lao Minnesotan Artists Heritage Month. For the very first time, the Governor and State of Minnesota issued a certificate of recognition recognizing the contributions of Lao Minnesotan artists in the month of August, 2012. This has also set in motion plans for a national Lao American Artists Heritage Month this upcoming year. Award-winning writer Saymoukda Vongsay had a busy year of performances, but perhaps her biggest highlight was getting her play Kung Fu Zombies vs. Cannibals greenlit for the 2013 Mu Performing Arts Fall season. She’ll also be speaking soon during this year’s MarsCon 2013. Lao Minnesotan artists celebrated their journey at the Harrison Neighborhood Center on March 10th, 2012 with the Lao Voices Mini-Festival. The Mines Advisory Group and Legacies of War presented “Surviving the Peace,” a new documentary that examined the issue of UXO in Laos. Later in 2012, Secretary of State Clinton made a historic journey to Laos. From April to July at the Gordon Parks Gallery, master weaver Bounxou Chanthraphone (Daoheuang) and Laddavanh Insixiengmay convened a special exhibit, Weaving to Survive. Madame Chanthraphone holds an NEA Heritage Fellowship in the Arts. The exhibition simultaneously celebrated the weaving traditions of Laos and the extraordinary commitment that artists made to preserve their cultural heritage. In May, 2012, Ova Saopeng and Leilani Chan presented Refugee Nation for the first time in their home town of Los Angeles. Hopefully it will not be long before they return again to Minnesota, given the popular response to the Legacies of War: Refugee Nation Twin Cities exhibit in 2010. 2012 was a big year for the Lao Assistance Center, who received a Folk and Traditional Arts Fellowship Grant from the Minnesota State Arts Board in order to assist 5 apprentices to work with a master Lao storyteller and build our community capacity and audience. The Lao American Storytelling Festival will take place this February in conjunction with the Beyond the Other Side of the Eye Exhibit at the Harrison Community Center. Award-winning Mali Kouanchao was recently selected to work with the Lao Assistance Center to “create a visual arts exhibit in North Minneapolis commemorating 30 years of the organization’s work with the Lao Minnesotan Diaspora,” thanks to the Minnesota State Arts Board Cultural Community Partnership grant. Kouanchao has also continued to devote time to finishing her Displacement: Never Free series examining the journey of Cambodian deportees, and also her traditional Lao beef jerky company Cool Jerk. 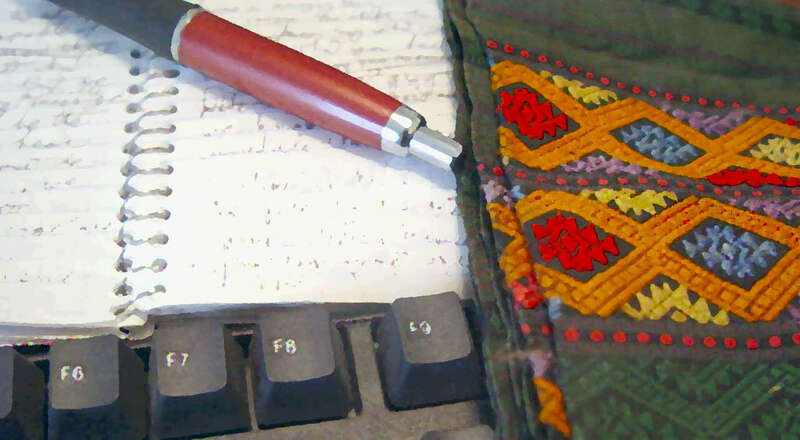 Mali Kouanchao’s sister, Dr. Ketmani Kouanchao has begun to blog more regularly at Kouanchao Corner here on the Twin Cities Daily Planet. Dr. Koaunchao was an early member of the SatJaDham Lao Literary Project in the 1990s. She’s a strong advocate for education on her blog. Dr. Adisack Nhouyvanisvong, one of the original founders of the SatJaDham Lao Literary project continued to do work with his award-winning, Minnesota-based company, Naiku, which seeks to accelerate learning with more effective educational assessment technology. Chay Douangphouxay released a debut chapbook of poetry, Remission: Finding Light in the Midst of Social Darkness. The launch took place on Saturday, December 15, 2012, at the Regla De Oro Art Gallery. This was made possible thanks to the Council on Asian Pacific Minnesotans (CAPM) and the Minnesota Humanities Center. Hopefully she will do more presentations in 2013 of her work. As for me, personally, I was selected as a Cultural Olympian to represent Laos during the 2012 London Olympics as an artist. I also celebrated the 5th anniversary of my first full-length book On The Other Side of the Eye. I was able to announce a new book to be publsihed with Innsmouth Free Press, DEMONSTRA, featuring the work of artist Vongduane Manivong. Little Laos on the Prairie continued to present great voices and views from across the community thanks to Danny Khotsombath and Chanida Phaengdara. Khotsombath recently left, so Phaengdara is looking for new regular Lao Minnesotans who want to help keep a community dialogue going. 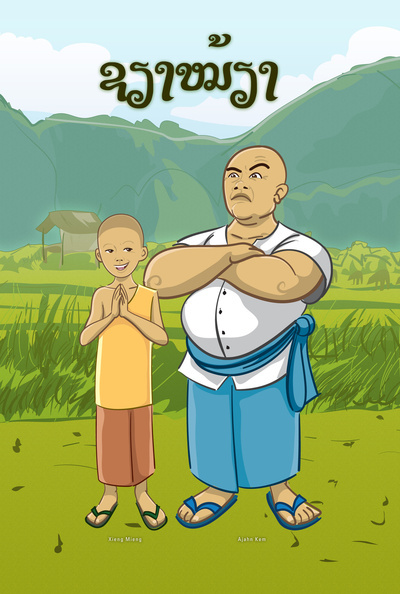 Nor Sanavongsay, a 2010 guest of the Lao American Writers Summit in Minneapolis is launching a kickstarter this month to bring a classic Lao legend to life as a children’s story book. Xieng Mieng is a project he presented in Minnesota during the 2001 SatJaDham Lao Literary Project Conference. Over 14 years in the making, it will be good to see this book finally in print. At the invitation of the US Embassy to Laos, Miss Minnesota USA 2012, Nitaya Panemalaythong, recently made a historic trip to Laos and also raised over $5,000 to assist non-government organizations working with at-risk youth, especially girls in rural villages, to give them a chance at a bright future. The goal of her trip was “to help promote business, charitable, and cultural ties between Laos and the U.S.” Sponsored by the American Chamber of Commerce (AMCHAM) it would appear a successful journey. There were so many other events and milestones for the community but hopefully this will serve as a positive reminder of what we can all achieve with a passion and a love for the arts. I’m looking forward to 2013!